Note: Total length and handle width vary with the size of the blade. The given measurements only match the chisels in the picture. Due to production reasons small deviations are normal. 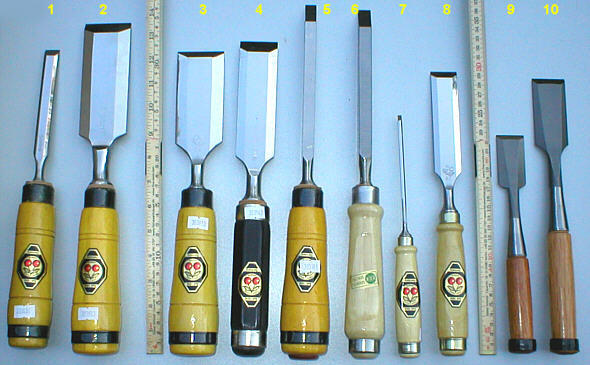 This page wants to give you a general imagination of the size of different chisel types.